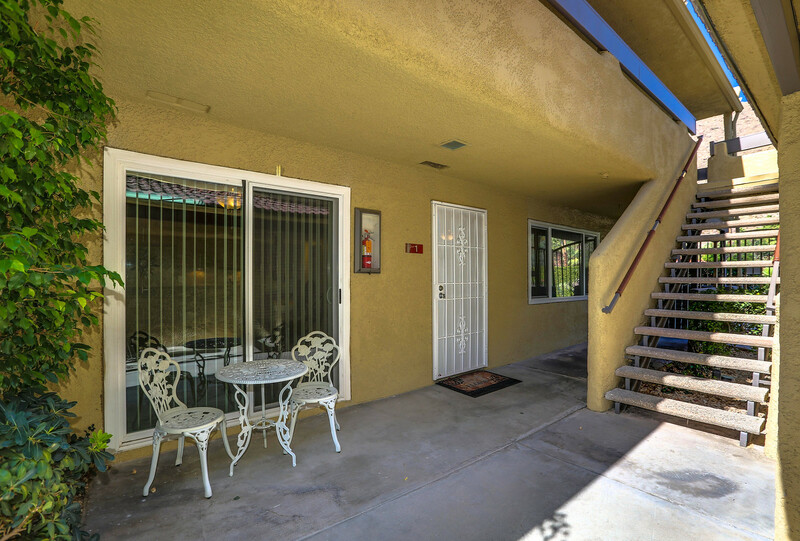 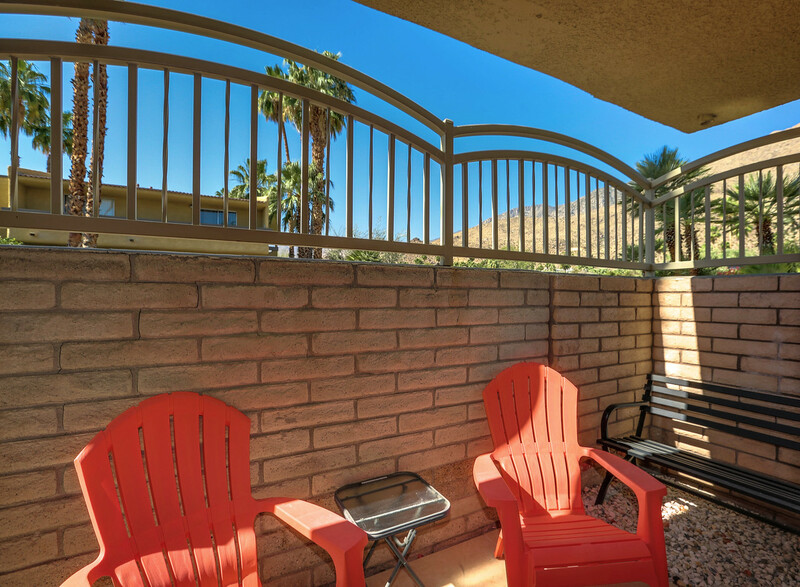 This gorgeous two-bedroom, two-bathroom condo is located inside the newly remodeled and beautifully landscaped Sandstone Villas complex, built in 1972. 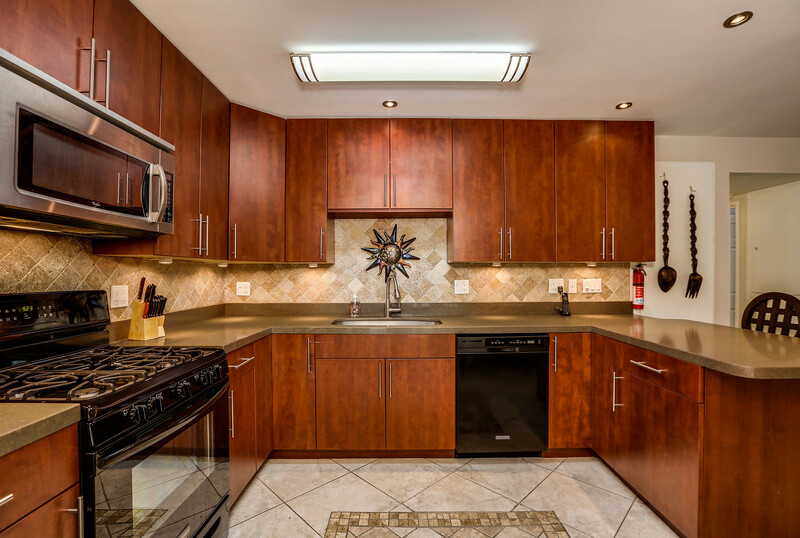 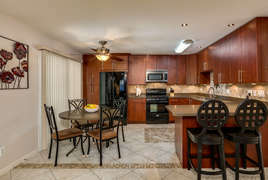 Inside this 1,024 square feet unit, you will find a reconfigured kitchen with newer cabinets, granite counters and a breakfast bar that opens to the living area. 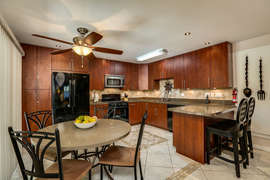 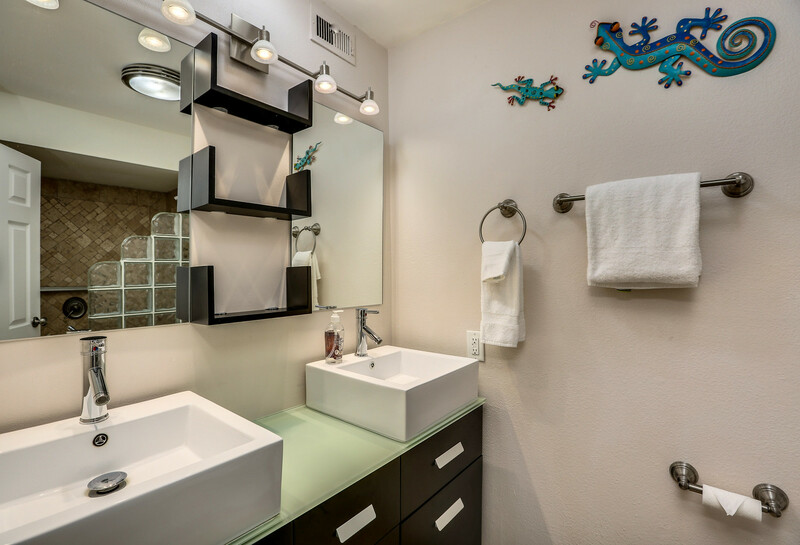 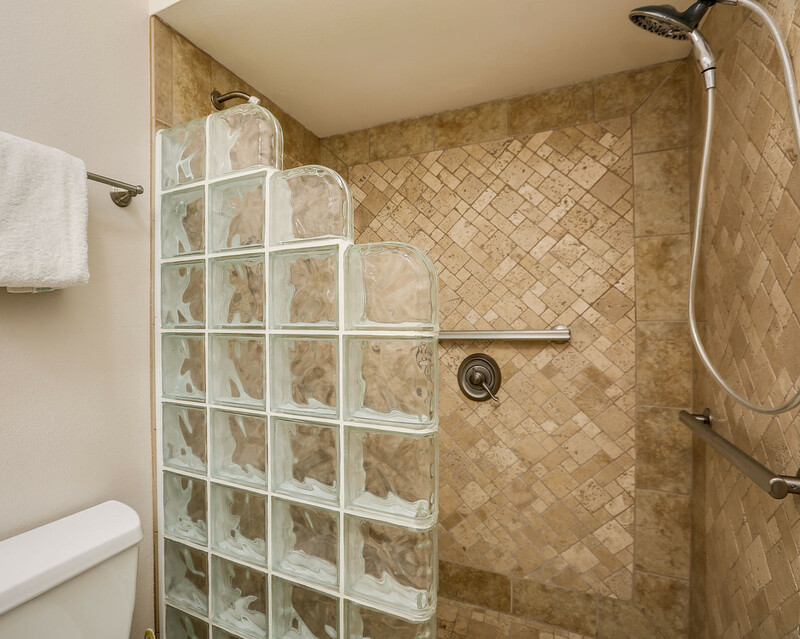 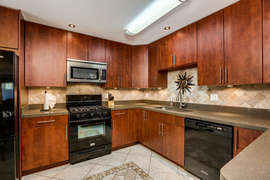 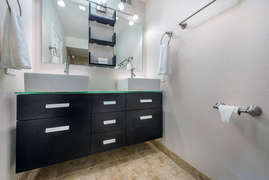 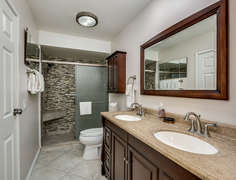 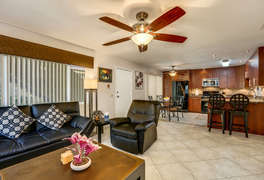 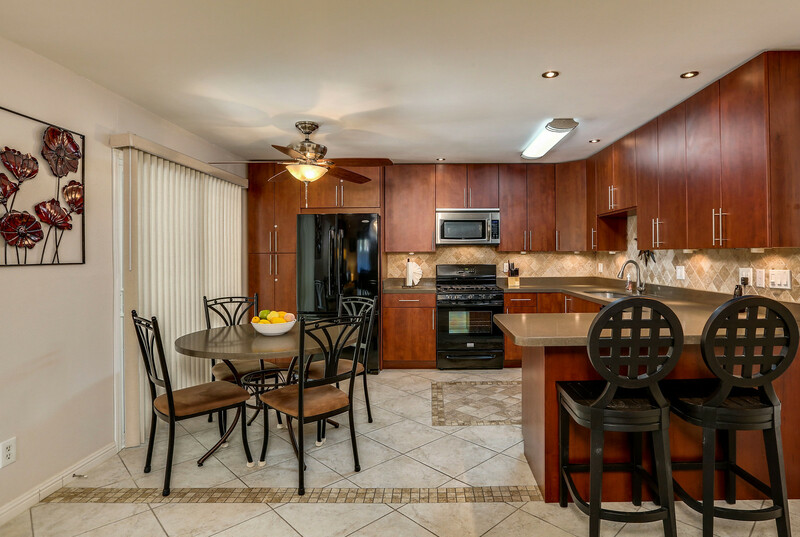 There is stylish tile throughout the living space that shows off the immaculate state of the condo and welcomes you in. 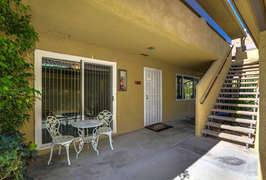 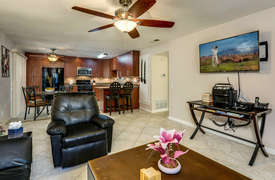 A large pool and hot tub are located steps away from the front door of the condo. 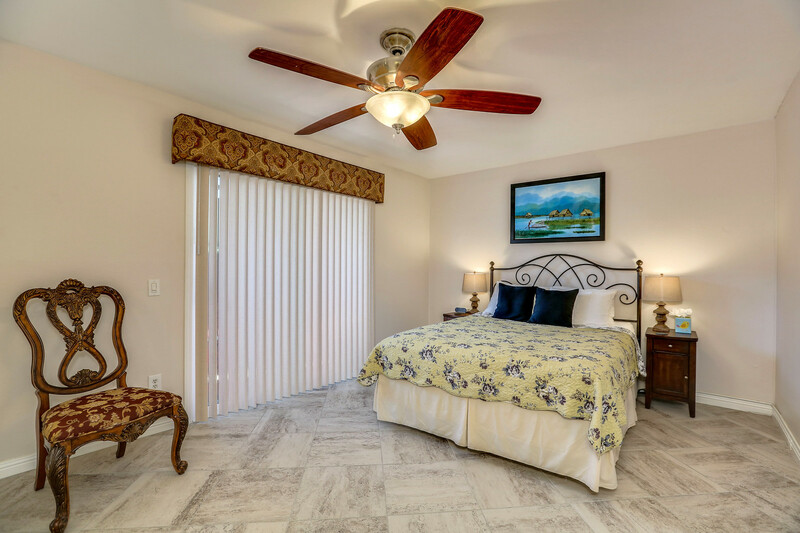 There are separated dual master bedroom suites with adjoining bathrooms encompassing the stunningly crafted showers in each bathroom. 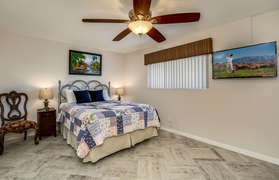 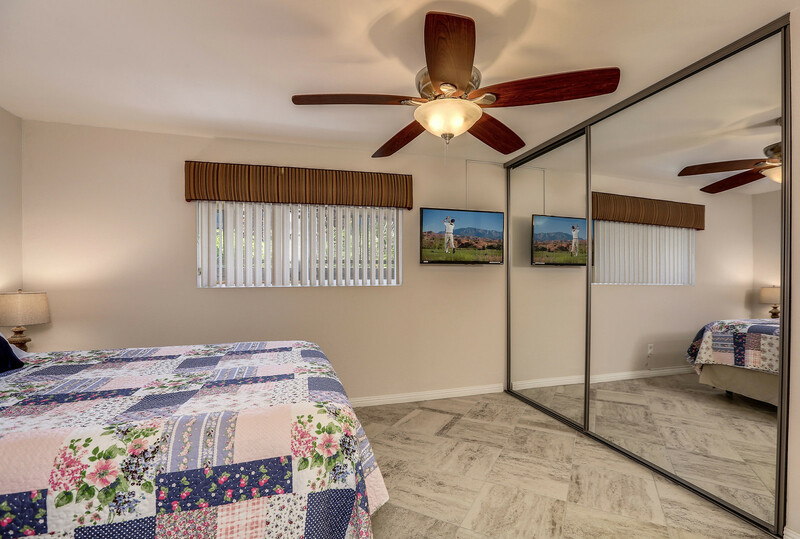 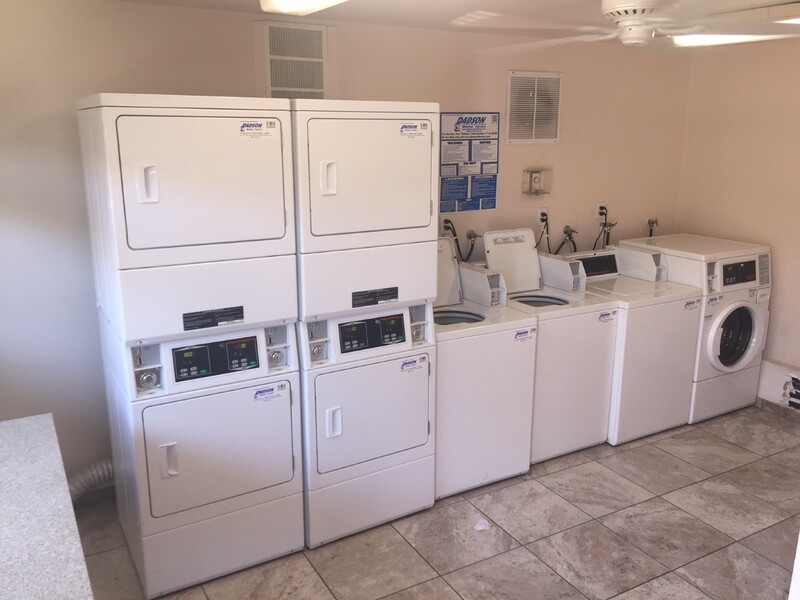 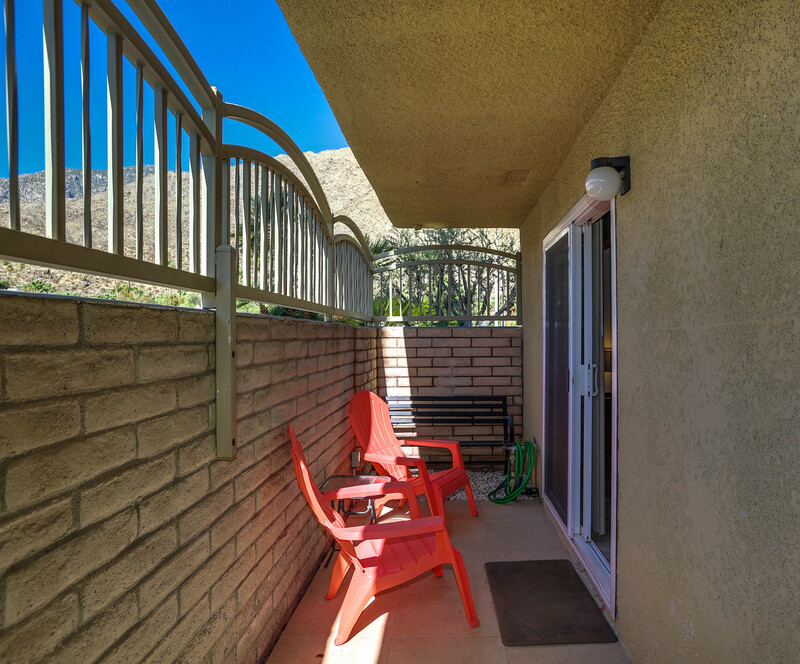 There is plenty of closets space in each bedroom and from the condo, you can see the serene San Jacinto mountains and well-manicured greenery. 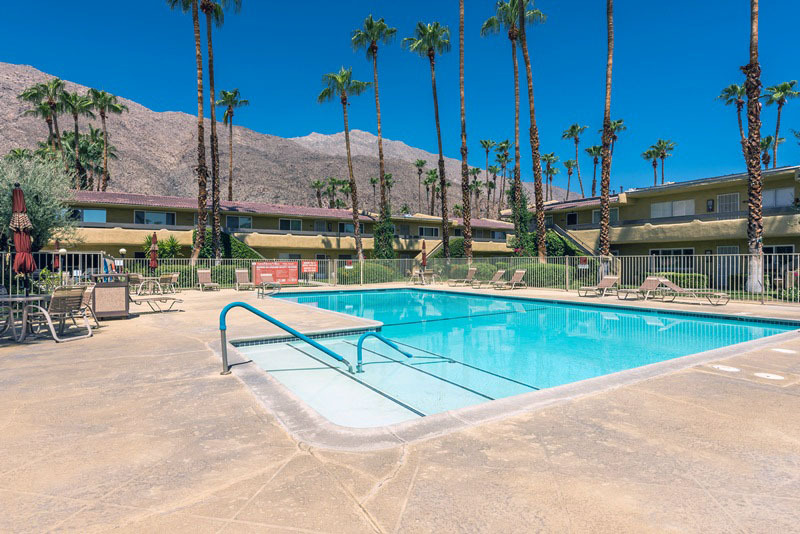 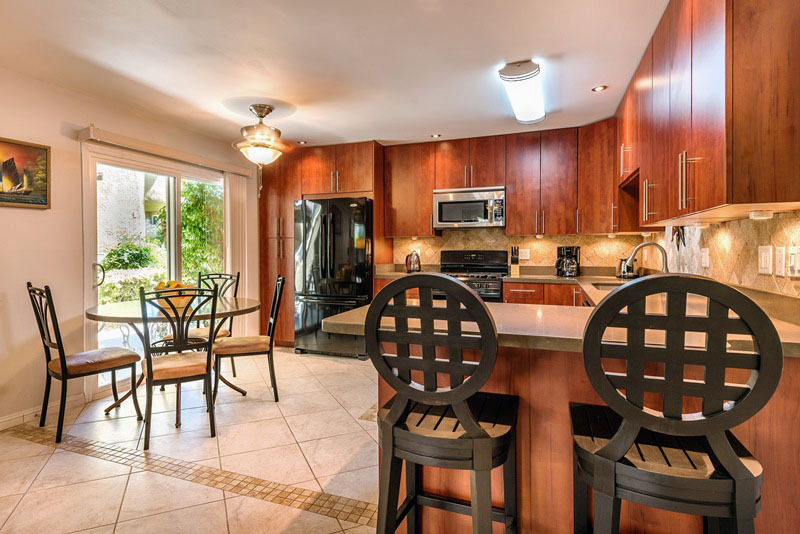 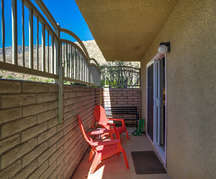 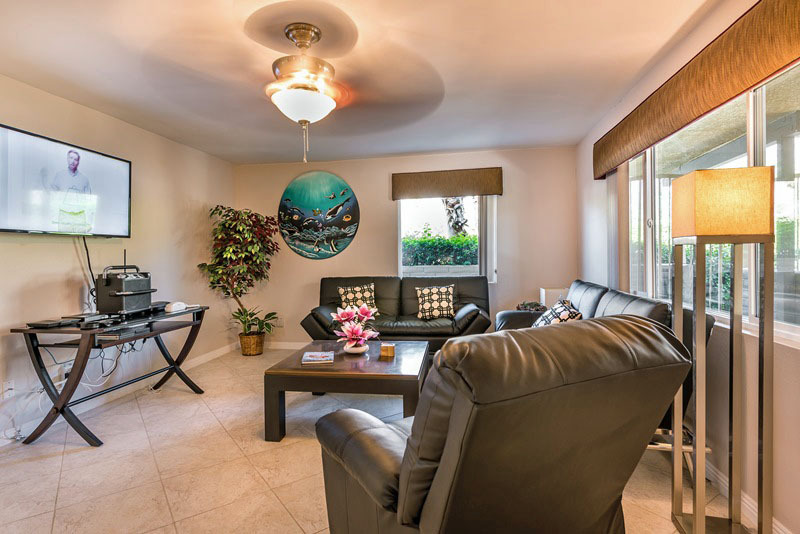 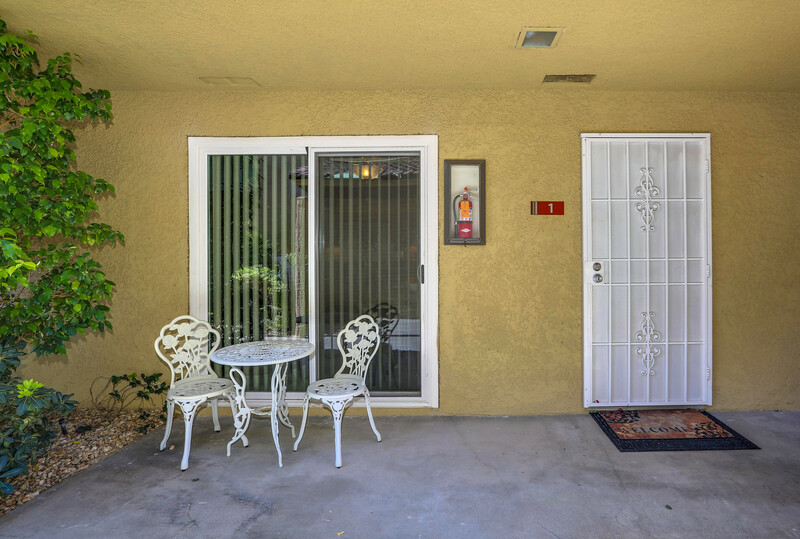 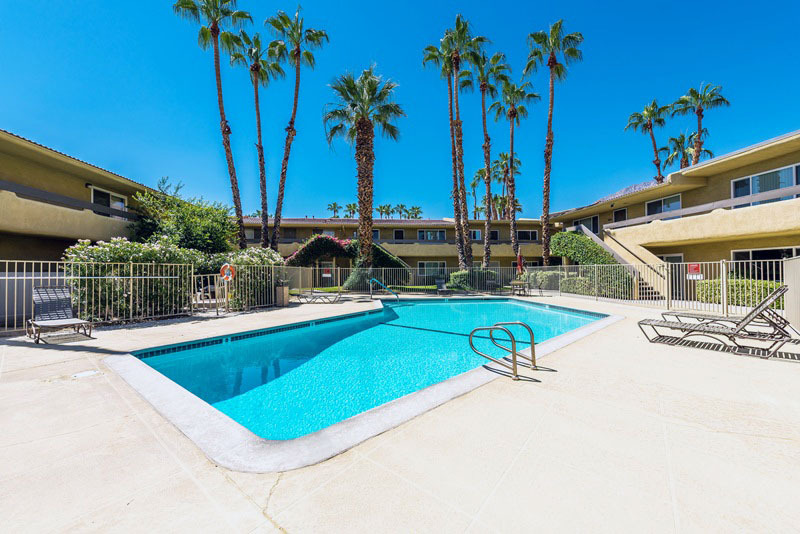 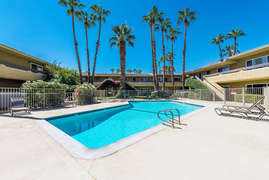 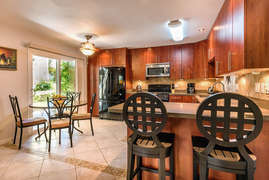 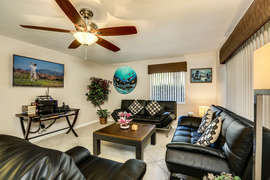 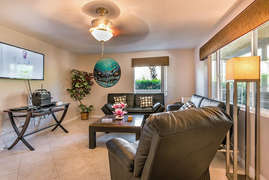 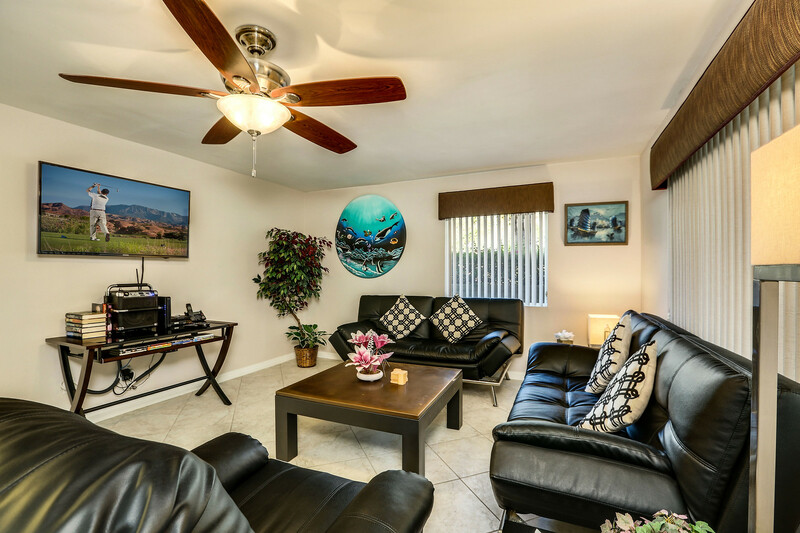 This condo is located in the much-desired south Palm Springs, just minutes from the fashionable and revitalized downtown Palm Canyon shopping area, VillageFest, which takes place every Thursday night, markets and the Moorten Botanical Garden. 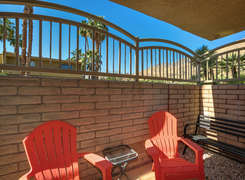 The Sandstone Villas complex has so much to offer during your stay including privacy, security and quietness within the gates surrounding it. 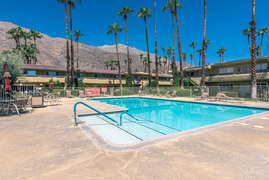 There are community outdoor grills, four community pools (2 heated year-round) and two hot tubs, a fully stocked fitness room with a sauna for both women and men, a shared library, a billiards room with a ping pong table, three tennis courts to be enjoyed, community washers and dryers and an assigned covered parking space for the unit. 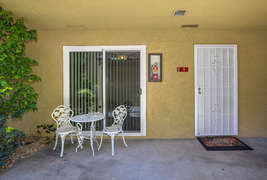 Animals are not allowed in this condo. 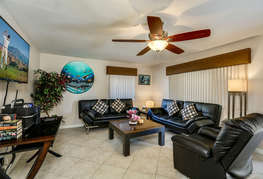 The condo has a 7-night minimum; make your reservation today.